superdumb supervillain: Marvel's Guardians of the Galaxy - First Trailer! 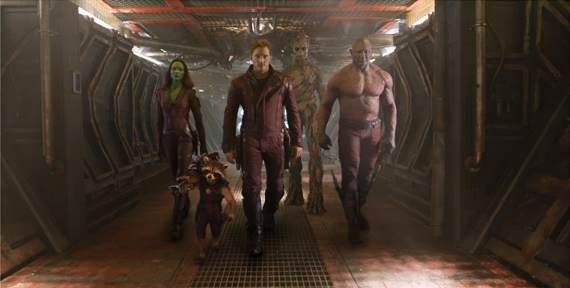 Marvel's Guardians of the Galaxy - First Trailer! Being a huge comic geek and scifi fan, I am super excited to announce that Guardians of the Galaxy opens in theaters everywhere on August 1st. 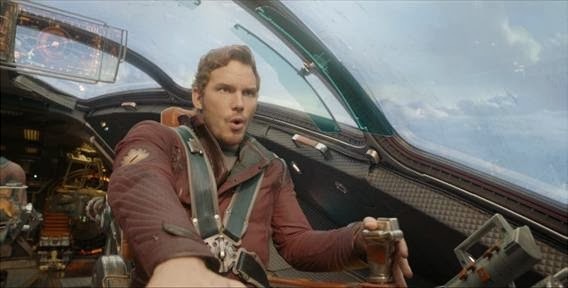 Not only does it feature a trash talking space adventurer and his band of misfits, including an armor-clad raccoon, but that adventurer is played by none other than Chris Pratt. Which explains why Andy from Parks and Recreation has been "in London" for so long. Apparently he's been busy completely changing his body. Yowza. The trailer looks awesome. It looks like a movie I would have made up as a kid. Only cooler. For more information, like Guardians of the Galaxy on Facebook, follow @Guardians on Twitter and join in the online conversation using hashtag #GuardiansOfTheGalaxy.